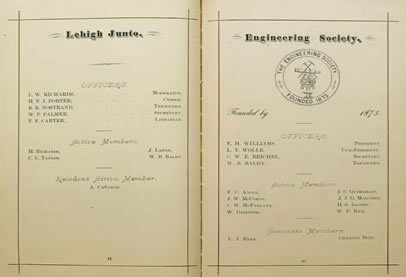 Lehigh's first student clubs represented in the Epitome 1875. Since its founding in 1866, Lehigh University encouraged student groups to form for scholarly pursuits. In accordance with the academic curriculum, several arts and sciences student societies started. With the growth of the University, scholarly societies became a vital part of the academic life.